VATICAN CITY (CNS) — To promote healing after reports of sexual abuse and cover-ups, Pope Francis will send Archbishop Charles Scicluna of Malta and Father Jordi Bertomeu Farnos back to Chile. Both will visit the Diocese of Osorno “with the aim of advancing the process of reparation and healing of abuse victims,” the Vatican said in a statement May 31. 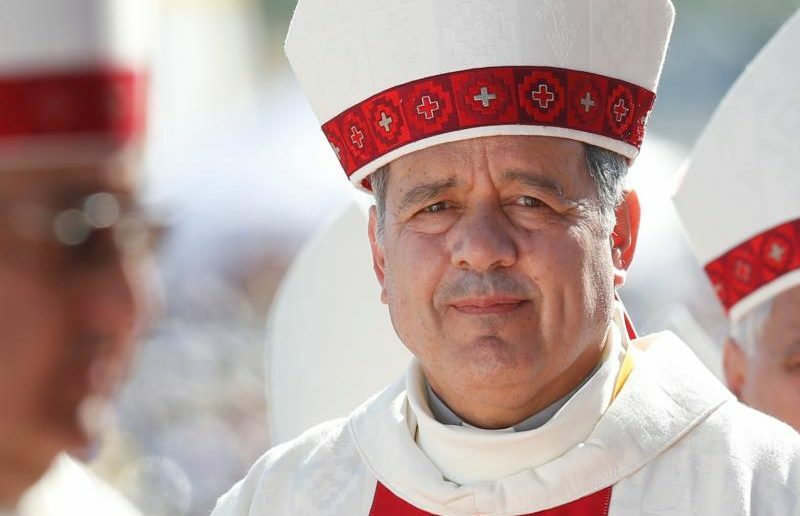 Abuse survivors have alleged that Bishop Juan Barros of Osorno — then a priest — had witnessed their abuse by his mentor, Father Fernando Karadima. In 2011, Father Karadima was sentenced to a life of prayer and penance by the Vatican after he was found guilty of sexually abusing boys. Archbishop Scicluna, who is president of a board of review handling abuse cases within the Congregation for the Doctrine of the Faith, and Father Bertomeu, an official of the doctrinal congregation, will depart “in the next few days,” the Vatican said. He later apologized to the victims and admitted that his choice of words wounded many. A short time later, the pope sent Archbishop Scicluna and Father Bertomeu to Chile to listen to people with information about Bishop Barros. Not all of the 64 witnesses spoke about Father Karadima and Bishop Barros; several of them gave testimony about abuse alleged to have occurred at a Marist Brothers’ school. Their investigation resulted in a 2,300-page report that was given to the pope. After a “careful reading” of the testimonies, “I believe I can affirm that all the testimonies collected speak in a brutal way, without additives or sweeteners, of many crucified lives and, I confess, it has caused me pain and shame,” the pope said in an April 11 letter to the bishops of Chile. He also summoned the bishops to Rome May 15-17, which resulted in most of the Chilean bishops offering their resignations to the pope. The pope also said he was “perplexed and ashamed” after he received confirmation that undue pressure by church officials was placed on “those who carry out criminal proceedings” and that church officials had destroyed compromising documents.